Early in the morning on June 14, 2017, a lone gunman in Alexandria, Virginia opened fire on a field where Republican lawmakers were practicing for the annual congressional charity baseball game. Four people were shot, including House Majority Whip Rep. Steve Scalise (R-La. ), who suffered life-threatening injuries. Now a year later, Rep. Brad Wenstrup (R-Ohio), one of the congressmen on the field during the attack, told ABC News’ “Start Here” podcast the Republican baseball team is ready to play ball with Scalise in the starting lineup. Wenstrup, a right-fielder, was just getting into the batting cage when the first shot rang out a year ago. After the second shot, which he believed hit Scalise, he took cover and stayed down. 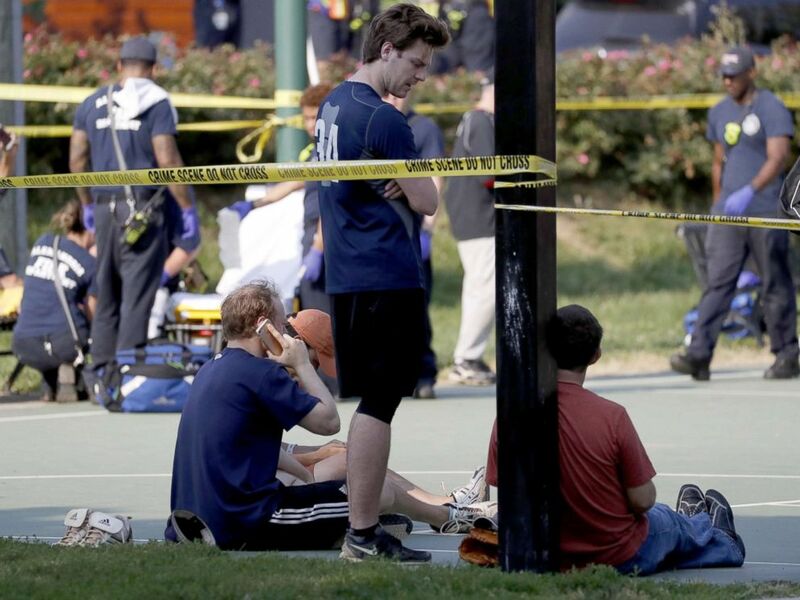 People gather near the scene of a shooting at the Republican Congressional baseball team practice in Alexandria, Va, June 14, 2017. Onlookers saw a small hole in Scalise’s hip, but Wenstrup, a decorated Army ranger, quickly realized there was no exit wound. His instincts as a combat surgeon in Iraq kicked in. 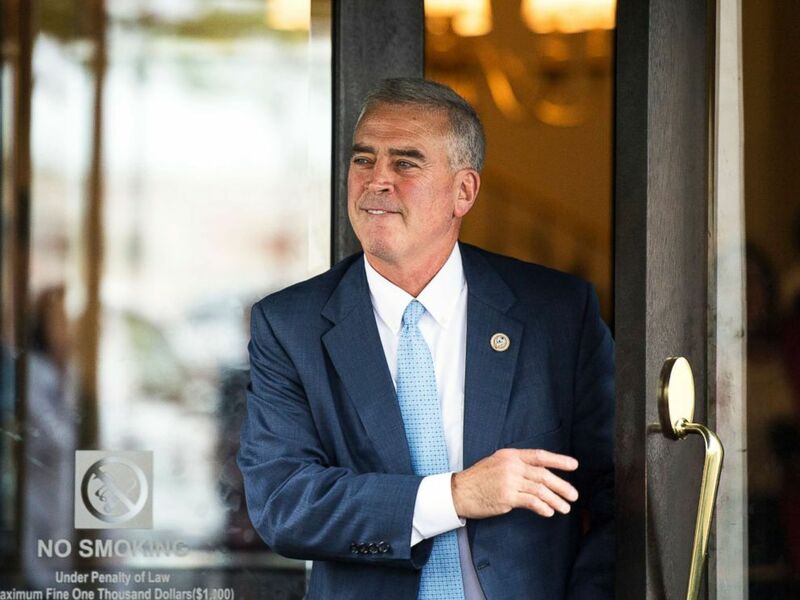 Rep. Brad Wenstrup leaves the House Republican Conference meeting at the Capitol Hill Club on May 16, 2018. After the attack, Wenstrup said he visited the field with his family to reflect. This year, the Republican baseball team visited the scene together, “as a show of force, ” but they’ve been practicing at a different field. When asked whether Congress has done enough in the last year to prevent a similar shooting from happening again, the congressman noted the STOP School Violence Act and the increased security at the congressional baseball practices, but added there’s still more work to be done. Wenstrup said he’s trying to come up with solutions by studying violence and homicide in the U.S., but going into tonight’s game, he’s thinking about “how lucky we are” because last year’s shooting could’ve been much worse. This story is featured in Thursday’s edition of ABC News’ “Start Here” podcast. “Start Here” is a daily ABC News podcast hosted by Brad Mielke featuring original reporting on stories that are driving the national conversation. Listen for FREE on the ABC News app, Apple Podcasts, TuneIn, Spotify, Stitcher, Google Play Music, or iHeartRadio. Ask Alexa: Play Start Here, or add the “Start Here” skill to your Flash Briefing.